We are covering a lot of ground here and are in the rural areas with less Internet access, so my postings will be a mixup of time and space. 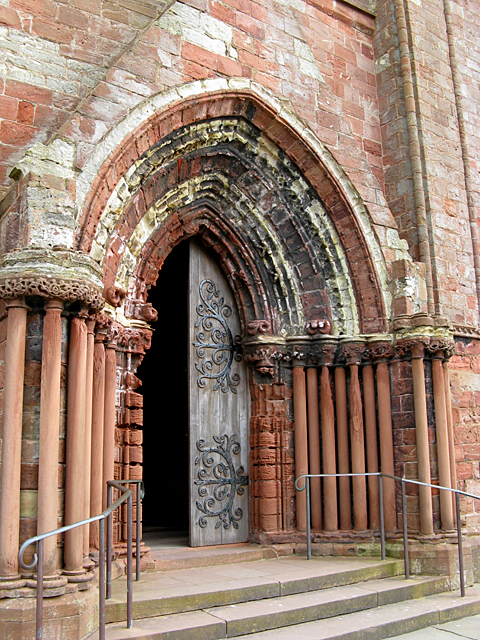 We arrived late Monday on the ferry from northern Scotland (Gills Bay) to Orkney (St. Margaret’s Hope). Yesterday and today we’ve been on Orkney (actually an archipelago of islands). This place is loaded with history. Yesterday (Tuesday) we learned a bit about Orkney’s role in World Wars I and II. 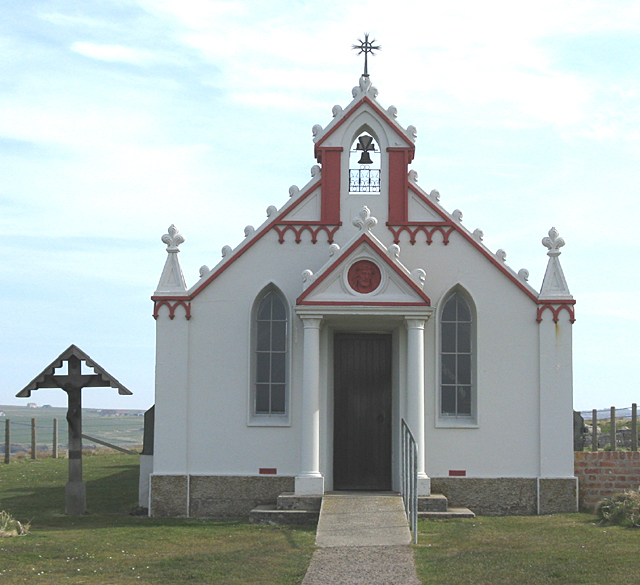 One little tidbit was a quonset hut turned into a beautiful little Italian Chapel by Italian prisoners of war who were put here to construct causeways to protect British ships in the large bay (called the Scapa Flow) from German submarines. They were, unfortunately, closing the barn door to late, as the causeways were built in reaction to a German U-boat that snuck in past scuttled ships and sank a large British warship. 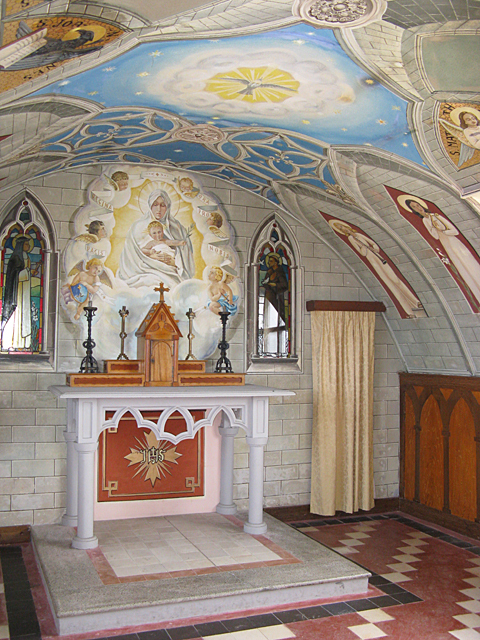 The Italian Chapel itself is filled with optical illusions. 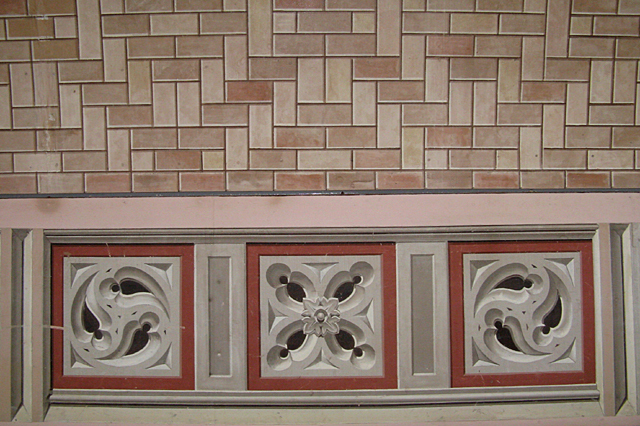 What appear to be beautiful brick walls and intricately carved stonework is simply paint on flat walls. Very impressive! The tour group took off in the afternoon to visit local artisans, but I took a break from the tour to wander around at my own pace. I spent an hour chatting with a native Orcadian in the 11th century cathedral here and became aware of the significant Norse influence here. This area did belong to the Norse at one time, but was given to the Scots as a dowry when the two countries were united by marriage. 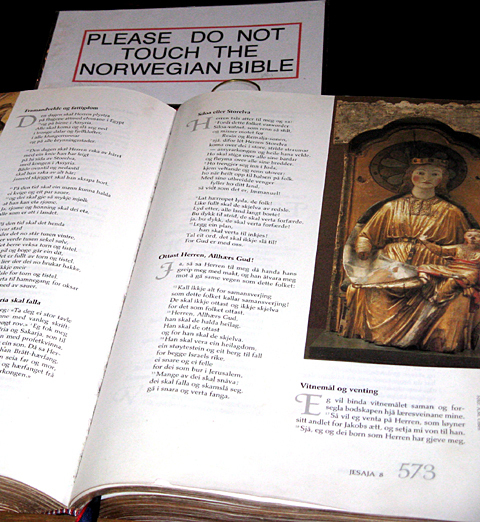 Just as many place names in California are of Spanish origin, many of the place names here are of Norse origin. The guide also told me of the connection between Orkney and the Hudson Bay Company, which employed many Orcadians. I’d misplaced your blog link and just finally caught up! Your trip sounds absolutely delightful. If you’re still having trouble getting photos posted, give me an e-holler. Pomona is an old, incorrect name for Orkney. Fiona, thanks for the info. I love words; in fact, I’ve already made up a list of about 50 words and phrases that are slightly different here than at home.